*Custom Build Out: I understand this product is custom built and will be manufactured upon completion of order and is not returnable. 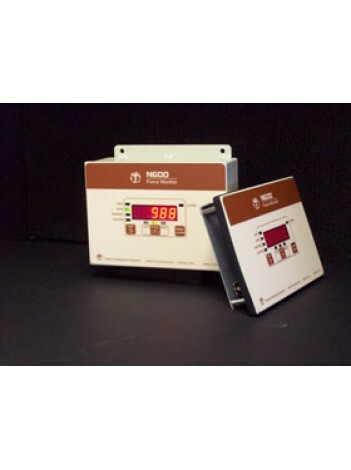 The N600 is a cost effective two channel monitor for measuring force on a variety of machines. The N600 shows total, left and right force readings on a five (5) digit LED display. With ease of operation, alarm capacity and high set point alarm limits will provide greater machine and tooling protection as well as quality control. The N600 can be a standard or flush mount installation (as shown in the picture). Probe Input Built-in voltage source (12VDC, 100mA max) provides power for the probe. It supports NPN and solid state or dry contact relay.